Save 10% on five-star Ruark radios for Black Friday 2018 | What Hi-Fi? 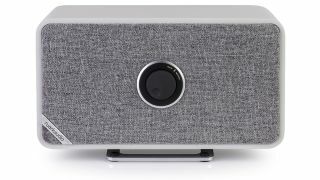 If there's a free rectangular-shaped space on your bedside table where a radio could be, you may well be interested to know that Sevenoaks has slashed 10% off a handful of Ruark Audio radios and wireless speakers. What might further your interest is the fact these Ruark deals include the current Award-winning Ruark MR1 Mk2 desktop speakers, as well as the five-star Ruark R1 Mk3 portable radio and R2 MK3 all-in-one system. The biggest Black Friday Ruark discount offers a generous £70 saving, and all can be viewed below. The deals are valid until the 26th November.